Major arteries are plowed first. These streets will continue to receive treatment as long as weather conditions continue. Blowing snow and freezing roads once snow has thawed can require continued treatment. Main roads through subdivisions, streets connecting two or more priority 1 streets. These streets will be plowed and salted once priority 1 streets have received treatment. Residential streets, courts, cul-de-sacs and alleys will be serviced once priority 1 and priority 2 streets are cleared. Paths that have been determined high-traffic routes for schools are cleared first, followed by paths used for recreational use. 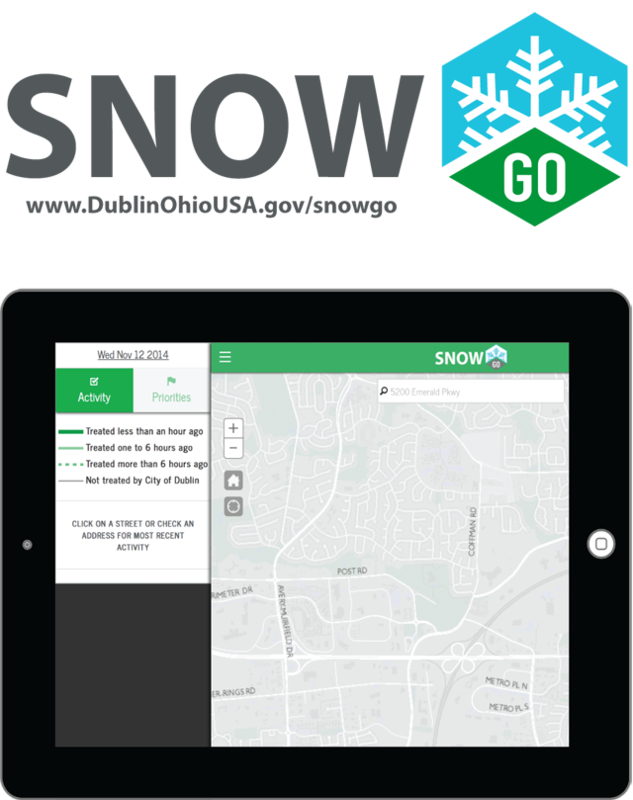 To view a map of paths, parking lots and sidewalks prioritized for snow removal, visit Dubscovery. Private residential and commercial streets as well as streets in other jurisdictions. For seasonal information on snow and ice removal, call 614.410.4750. 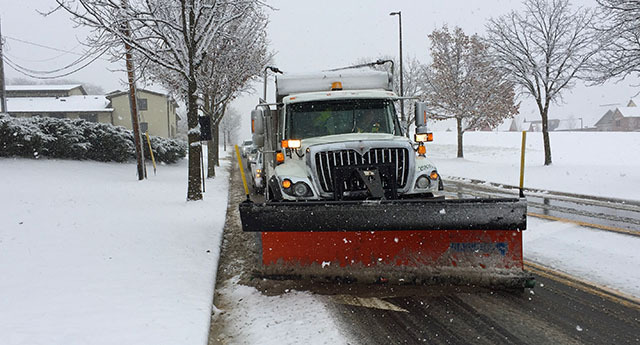 During a snow emergency, snow removal information can be obtained by calling Streets and Utilities at 614.410.4750. Get up-to-the-minute information on which Dublin streets have been treated. Search the map by address to check recent activity on a specific street. Receive timely, weather-related messages.View on any device at anytime.